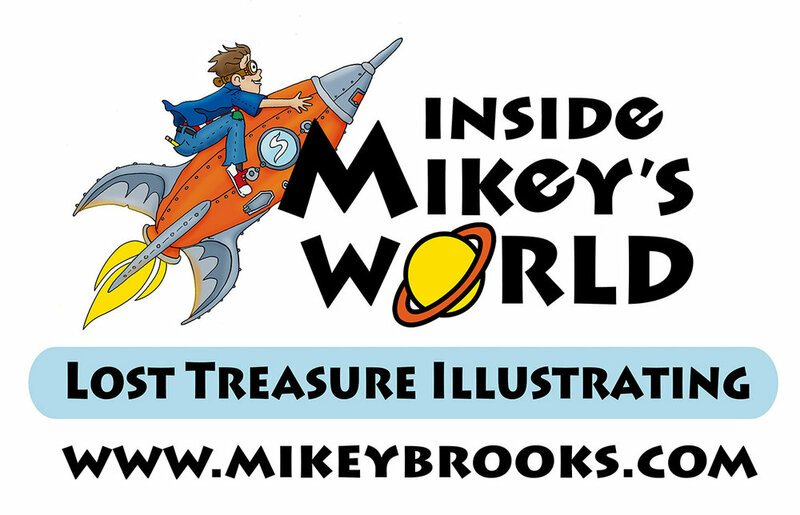 Lost Treasure Illustrating is a independent studio owned and operated by Mikey Brooks. Mikey can produce illustrations for anything, a single image, a full length picture book, cover art, or even bookmarks. No project is too large or too small. He is anxious to share his talents with the world. Please check out his work in the portfolio tab. Below you'll find his price guide. Visit his PORTFOLIO to see covers Mikey has created for others. Thank you! Mikey should contact you shortly via email. When not working as an author/illustrator, Mikey Brooks, is saving the world from evil villains, changing really smelly diapers, playing princess dress-up or dinosaur hunter, or hiding in a broom closet taking a nap (not necessarily in that order). He is the author of several books for kids and the illustrator a few more. He has five very noisy kids, a very patient wife, four crazy chickens, too many fish to count, a few invisible dragons, and a fancy wand collection. This is his website. Enjoy!